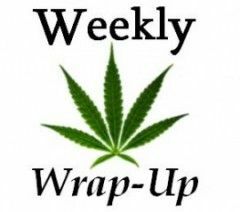 Washington State begins cracking down on pesticides, Massachusetts raises its medical cannabis purchase limit, and the group behind an emerging MMJ ballot measure in Ohio unveils an overview of its plan. Is the recent pesticide crackdown by the Washington State Liquor and Cannabis Board (LCB) just the beginning? Will more growers face fines and possibly even product recalls if they continue to use prohibited chemicals? The consensus response: It’s hard to say. But North Coast Growers owner Matt Sampson said he hopes it’s the start of more widespread enforcement. Brian Smith, communications director for the LCB, noted in an email that recreational cannabis licensees aren’t yet required to have their product tested for pesticides. One of the two enforcement actions in December began because of a complaint filed with his office. The only other reason for LCB intervention is if an official notices an unapproved pesticide during an inspection, Smith wrote. Medical cannabis, however, will be required to be tested starting July 1. The state is now “actively working with other agencies on protocols should a product need to be recalled or other action,” Smith wrote in an email. “Should a licensee risk using an unapproved pesticide on their product, they run the risk of potentially losing their license as well as being shunned by retailers who don’t want tainted products,” he added. Meanwhile, the Washington Department of Agriculture has compiled a list of pesticides that are allowed for use on cannabis. Late last week, Massachusetts doubled the amount of medical marijuana that patients in the state are allowed to buy, from 4.23 ounces every two months to 10 ounces over the same period. While that’s good news in general, dispensaries won’t see a commensurate spike in revenues. In fact, the resulting sales increase will likely be minimal. At the end of last month, there were 19,279 registered patients in the state. Dispensaries sold 3,821 ounces of medical marijuana in January – which averages to roughly .2 ounces per patient. To Krane’s point, it’s not like most patients are clamoring for more than four ounces every two months. Still, the development is a positive overall. The odds of medical cannabis being legalized in Ohio this year got a lot better when the Marijuana Policy Project announced last month that it will run an MMJ ballot initiative in the state. MPP is aiming to legalize just medical marijuana, which has overwhelming support in Ohio. That’s a big difference from last year’s ill-fated ballot measure, which sought to legalize both medical and recreational cannabis, a far more risky proposition. The group behind that failed proposal (ResponsibleOhio) also tried to put MMJ cultivation in the hands of a few wealthy donors, which didn’t sit well with almost anyone. Given the likely high voter turnout due to the presidential election, the odds of success this time around are pretty good – as long as MPP gets the measure on the ballot and differentiates it itself from the 2015 legalization attempt. So what framework will the bill include, and what business opportunities could it create? The first details emerged this week. The measure would create types of business licenses, including two different tiers for cultivators, plus retail, processors (i.e. infused product manufacturers), transporters and testing labs. There would be an as-yet-undetermined cap on large-scale cultivators to avoid a handful of companies dominating the market, but otherwise no limit on the number of licenses issued. There would be a residency requirement “for at least some of the business licenses,” Kampia wrote, adding that those details are still being discussed. If the initiative passes in November, dispensaries could open as soon as early 2018. The qualifying condition list would include chronic pain and post-traumatic stress disorder, along with several additional ailments, which means the patient base could be enormous given Ohio’s population of 11 million. The initiative won’t allow for any additional excise or sales taxes other than the standard taxes placed on goods such as “paper towels or juice at the retail level,” Kampia wrote. Barrier to entry would be low, with startup costs similar to convenience stores or pharmacies. Add it all up, and Ohio could conceivably become one of the largest marijuana markets east of the Mississippi River, with thousands of business opportunities and hundreds of millions of dollars in potential revenue.